My dog is a meat eater so can I feed him vegetables and fruit for the enzymes and is it true that he eats grass for digestion? Dogs are carnivores but think - in the wild they would get essential vitamins and enzymes from the stomach contents of their grass-eating prey. Most apartment (especially high-rise) dogs are deprived of fresh grass. They finally developed little indoor gardens for house cats but for decades I have written about how thoughtlessly we deprive our pets of fresh raw foods, especially veggies and grass. Get instant information about your pet's craving for live food ii Why Dogs Eat and Need Grass BUT THINK... pesticides and fertilizers when you turn them out to graze on that lovely lawn you work so hard to maintain. 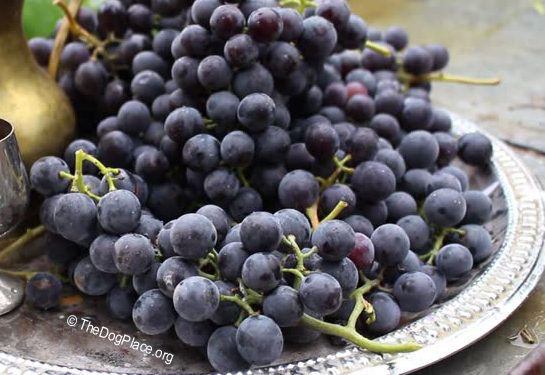 Your dog’s immune system, overall health and reproduction cycles will improve when given fresh, wholesome, pesticide-free fruits and vegetables. What about grain? Did you ever see a wolf or bear grazing in a corn field? I’ve said this many times but not often enough for dog food manufacturers! The first thing dog's first cousin seeks after his long winter sleep is fruits and veggies. That's right, in spring bears go about the serious business of cleaning out their systems and replenishing nutrients, not with meat, but with vegetation! All wild ii Carnivores dig up roots, eat herbs and grasses, and relish fruit and berries. Berries in particular are loaded with vitamin C and antioxidants. Okay, now you’re thinking you will share an apple with the dog. But wait, there’s more you should know because it affects your health as well. Like lawns, many of the “healthiest” foods are contaminated with pesticides! Washing may remove some sprays but chemicals taken up through the root system permeate the entire plant! Here’s some “food for thought.” We live in a contaminated and toxic world. "Grow your own" is best but wash all fruits and veggies in a mild solution of bleach or white vinegar and water, then rinse. If allowed to sample fruits and vegetables and different grasses in his own little garden, I guarantee your pets will thank you for providing what they instinctively crave. Strawberries can contain up to 65 different pesticides, fungicides, and herbicides, one of which may be methyl bromide which causes neurological damage. Organically grown strawberries have much more flavor, important to you though less so for your dog because he savors food through his scent glands. Bell Pepper plants are sprayed up to six times, plus fields are sprayed with methyl bromide before planting to “sterilize” the soil. Cook or sauté them for the dog stew. Spinach is typically infected with aphids and mildew which require so much spraying that over 50% of conventionally grown spinach contain highly toxic pesticides. Although extremely high in calcium, go a little easy on this, as with turnip greens, collards, and kale they are high nutrient but must be thoroughly washed. Cherries are wonderful treats. Birds and insects love them too! They are also prone to fungus and viruses, meaning they get lots of spraying. Best to shop for organic cherries and even so, wash thoroughly. Yummy! Peaches are not as easy to grow as you might think. In fact, they are sprayed weekly from early spring through the last picking in late summer. Enjoy them fresh from Georgia and South Carolina orchards but peel your peach! Nectarines, like all stone centered fruits, are sprayed continuously and because they are expensive even when canned, it’s better to buy fresh organic and remove the skin. Grapes are often imported from Chile. They are fumigated with methyl bromide to kill bugs and fungi before entering the country. Wash thoroughly, then toss them to your bait-catching dog. 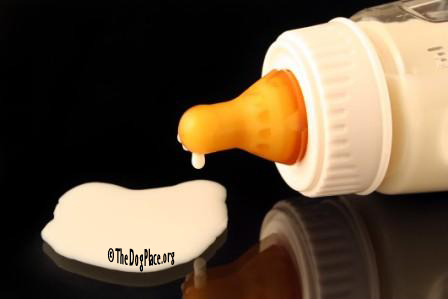 Prick the skin so the scent is stronger. Roll them across the floor for puppies. Raspberries are the product of synthetic fertilizers used to grow bigger berries in addition to an array of pesticides and fungicides to kill bugs and to prevent mildew in the fruit's crevices. Skip them completely. Apples get something called apple scab disease, plus they get fungus. Thus they are sprayed constantly! But even on first offering, dogs love the tangy-sweet McIntosh, Pink Lady, or Gala apples. Washing may not remove the poison so even though the skin contains a variety of phytochemicals, including quercetin, it may be best to peel the apple. Pears are sprayed almost as much as apples but with a wider mix, over 50 chemicals, because they are soft skinned and highly attractive to insects including fruit flies. Pears are not as attractive to dogs. Celery takes in a lot of ground-water which includes toxins already there. Celery tests particularly high in pesticides, several of which are known to be carcinogenic. Only use it in home cooked “dog stew” because, well, only humans eat it raw. Garlic is instinctively relished by dogs. Do they somehow know it is rich in allicin, a compound often referred to as nature's antibiotic? Good for you too and a few bites of apple after eating garlic will take away garlic-breath. Potatoes Like Ireland, America loves them. Before planting, fields are sterilized with fumigant which also kills friendly microbes that till the soil in a healthy way. Then the eyes get sprayed with insecticide to protect the tender green shoots that emerge. Next they get a general herbicide to kill weeds, then synthetic fertilizers every week to insure rapid growth and quick harvest and an assortment of insecticides and fungicides as they grow. Best advice when you consider how much we love this dietary staple, buy organic! I included potatoes because you love them and I wanted you to be aware of how they are grown. 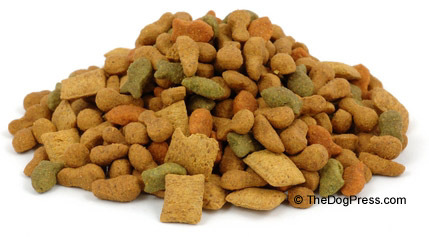 They are okay but not part of a fresh food diet for dogs or cats. 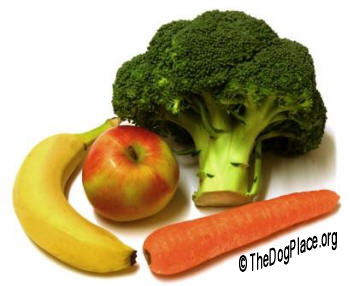 Most dogs relish cooked carrots, green beans, asparagus, snow peas, and broccoli. Think "out of the bag"! Watch a short video in VIDEO THEATER: Why Dogs Eat Grass by Dr. Karen Becker. Counterfeit foods threaten U.S. economy and bankroll terrorists.